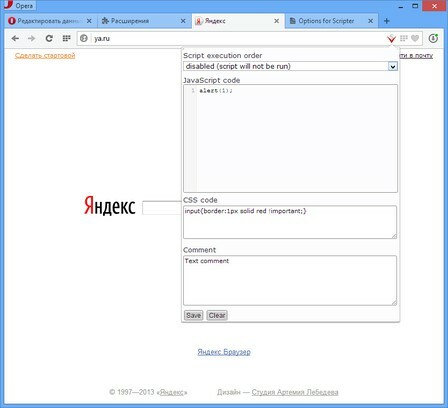 When you visit "http://www.google.com/imghp" will be displayed message: "this is a site"
One second after loading any page where you switced "Script execution order" to "onready", script will remove all the layers with z-index more than 100. Select the file in the settings Scripter, in the "Export / Import text"
3. Select this file in the settings Scripter "Export extenssion data to text"
A scientific and graphing calculator. 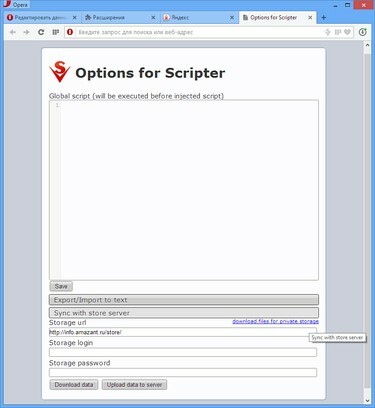 but is it possible to trigger browser's download using some script inside scripter? Editor window is not resizeable. Clicking on clear (which is close to save) will destroy all your code. But it is working great. Just too close to be perfect. This is the one that works best for me, because you can choose when to insert your script. I wanted to disable a frame-enabling script in site www.richardspens.com and couldn't do it with other extensions. 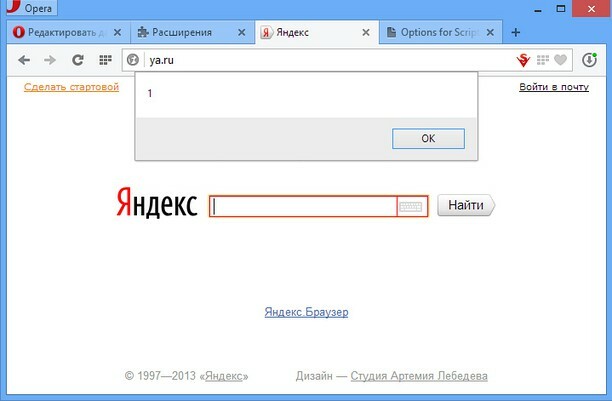 I tested in Ubuntu 14.04 and no more works in family google that only wok in firefox. The Opera is the incredible fastest disponible...iḿ bored. Really good, just the name of the developer on my opera://extensions page was different from the one listed here.